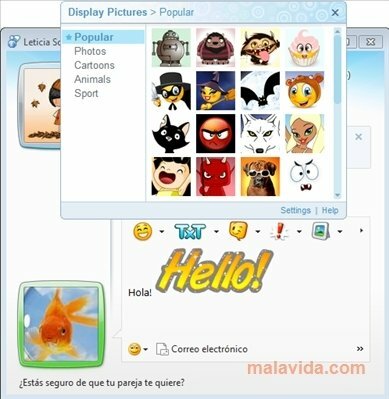 Almost all Internet users use a communication system over an instant messaging system, because it is possible to speak with various contacts at the same time, and it's much cheaper than the phone, but on the other hand we have to state that it is a lot less expressive. 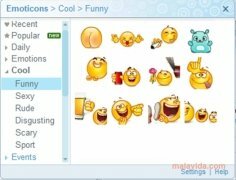 Bandoo is a collection of emoticons that will help you express yourself better in your conversations on Windows Live Messenger, Yahoo! and AOL. 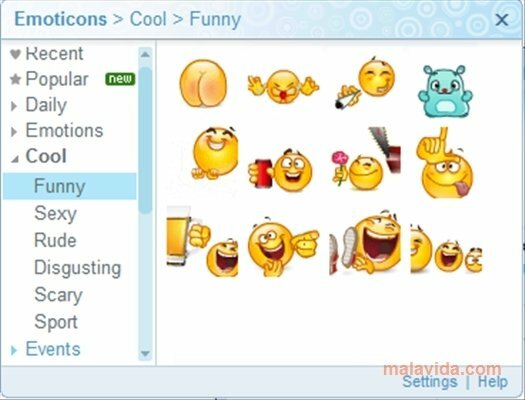 The collection is formed by emoticons, nudges, winks and images, all of them classified depending on the mood, time of the year and kind of complement. The nudges that it includes are really spectacular, because they are even capable of turning round or spinning the window of the person that they are sent to, something that can surely liven up our conversations to unknown levels. 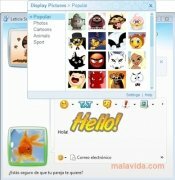 Furthermore, each day there are new icons that will be downloaded automatically when the instant messaging client is opened. Give your conversations an extra touch of liveliness with Bandoo, an incredible emoticon pack. This download requires that you have Windows Live Messenger, MSN Messenger, Yahoo! Messenger or AOL installed. This download requires an active Internet connection to finish the installation.